Feedback: 115 comments - leave yours! When I tasted this cheese over at Neal's Yard Dairy the other day, I immediately knew what to do with it. I will melt it over pasta with a dashing of cream and snipped chives and I'll have myself a pasta sauce fit for a king , I told myself. 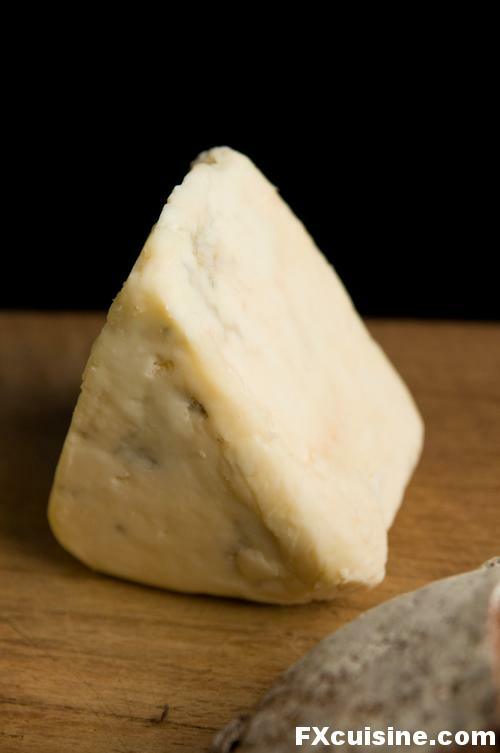 Beenleigh Blue is a fine blue British cheese made by Robin Congdon, a man who used to work for Westminster Bank before he went into sheep farming. One day he visited the Rocher de Combalou to collect some scrapings of Penicillium Roquefortii and started experimenting with blue sheep cheese - a very original British Roquefort if you will. Unfortunately the success of his cheese means he now buys in some of his milk and this means bowing to the Wicked Witch of the North - Pasteurization before being rescued by the Penicillium Fairy's magic touch. As a result, his is a mild blue cheese. Beenleigh is the hamlet where Congdon's farm is located. ... and turn the heat on to low until the cream starts to bubble. 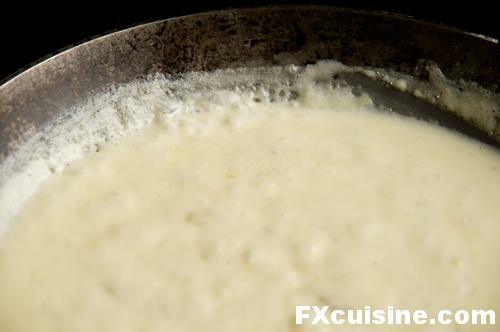 .Continue tossing over a low heat until all the cheese has dissolved into the cream. Et voilà, gourmet pasta with only three ingredients. Oh my God that pasta looks so good!! And I suppose it's homemade macaroni with your pasta machine?? FX's answer→ Yes good it was! No unfortunately I don't have a die for paccheri (those giant macaronis) but although they were bought these are made using bronze dies and durum wheat, really as good as bought pasta gets! That's delicious! 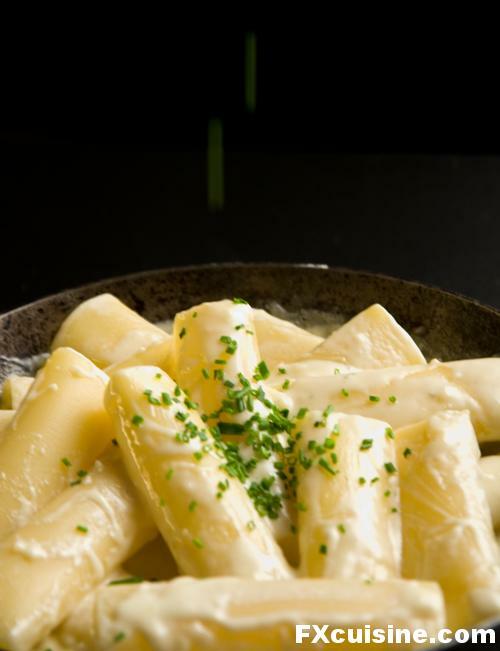 Pasta and blue cheese sauce, you can't go wrong! FX's answer→ That is really right! This looks so good I think I'll try it this weekend. Too bad I can only get those run-of-the-mill Emborg Danish blue cheese here. I Wonder if adding bacon would distract from the taste? FX's answer→ Shu, I think bacon would work fine but I'd first boil it for 5 minutes or so to remove the salt, then fry it to make it crispy, then pat it dry to remove the fat. But as the years go by I increasingly prefer more simple dishes centered around just a few flavors. 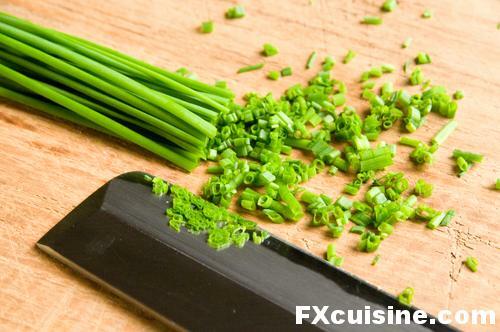 I KNEW you were going to use that knife for the chives! FX's answer→ Yes I can hardly pull myself to not use it these days, it's so sharp! FX's answer→ Glad you like it! I love this dish! With any blue cheese. And it makes an easy meal for an unexpected vegetarian guest on a lazy summers gardenfeast. With a glass of wine: colour to your choise. FX's answer→ Yes, but how good that would be with sweet white wine! I learned to make this sauce 30 years ago from my friend, Barbara, who lives in Florence. Then, she used a good gorgonzola. One may add butter to the initial cream for an additional richness and calorie overkill. It is absolutely yummy and probably my favorite pasta sauce! I have often added mushrooms, wild or domestic, slowly sauteed in olive oil to a wonderful crispy golden brown, then placed on top just before serving - divine! I will try the chives next. Thanks! FX's answer→ Nan, indeed butter would not hurt, but it would definitely crank up the calorie bill! I think crispy mushrooms is a horse tale, if you pardon my French. The longer you cook mushrooms, the less crispy they become. But you can perhaps teach an old horse a new trick? Gorgeous! How perfect. The name caught me by surprise for a minute because Beenleigh is also a not-very-nice suburb in Queensland where they distill rum, so I was waiting for rum to turn up in the sauce! FX's answer→ Beenleigh Blues that would have been! I am drooling -- and wishing I had some of that cheese. FX's answer→ Can you find blue cheese where you live? You could do this with many different cheeses - as long as they are blue. FX's answer→ A dashing ... or two! Headed to London May 27. I am a first time visitor and look forward to attemping to locate some of your referenced places. I so enjoy your emailed info: from recipes to places you have got it goin' on!. FX's answer→ Have fun in London Adelia! In the spirit of the great British rock band Spinal Tap, I would just like to say this goes to FOUR ingredients! (says "2" at the top, "3" at the end - but whose counting). I make a lighter no-gluten version of this with corn-pasta and almond milk instead of cream .. and real cheese of course. A little nutritional yeast for taste (unami) and a few crushed walnuts on top for crunch and looks, it's a tasty if somewhat unorthodox version of "mac and cheese". FX's answer→ I am counting. 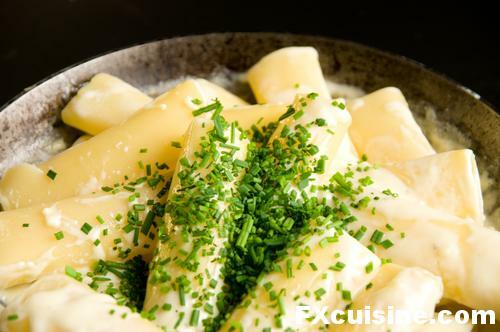 The cheese + 2 ingredients = 3 ingredients for the pasta sauce (cheese, cream and chives). No need for a spinal tap, thank you very much! I nearly took a bite out of my computer screen! Do you know if Mr. Robin Congdon exports...to... say... quebec? 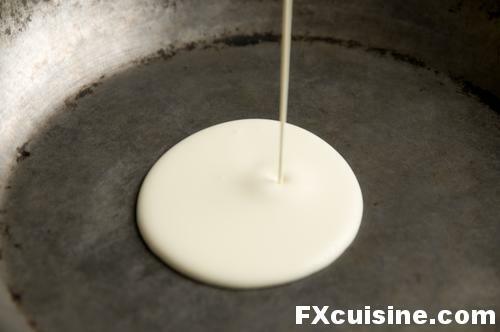 FX's answer→ But Candace you could do this with a fine blue Canadian cheese too, no problem! It looks great! I do the same sort of thing with gnocchi and gorgonzola. 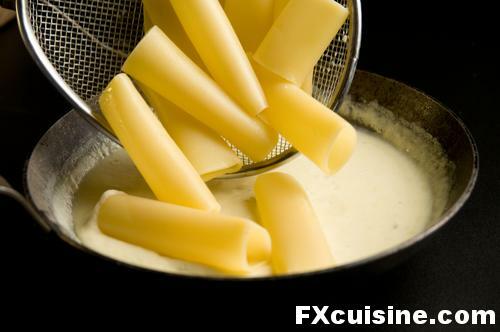 FX's answer→ Absolutely, this is where the inspiration comes from, but I think gnocchis are really a bit hard to digest when served in such a heavy sauce - the hollow pasta makes me think it's much lighter - metaphorically! A fine rendition of cheesy pasta. The freshly chopped chives add a zing if I do say so myself....Keep the flame on and the cheese grater moving or simply observing, cheese that is, frumage they say.....got milk? Chocolate milk is currently being supported by the Wisconsin Milk Board. Any thoughts about Chocolate Milk....? Last night we had fresh-boiled penne thrown into a pan of frying garlic, black olives with lots of juice and cracked pepper -- and a couple of chicken drumsticks pan-fried the day before. Je einfach, je besser. Okay, the olives had been joined by leftover homemade harissa grind and sliced lemons two days before -- to save 'fridge space -- but you get the picture. FX's answer→ Yes I think that when pasta is concerned, using leftovers smartly can definitely work. Je einfacher, desto besser! Crispy mushrooms are not a horse tale, but also not the best way to make mushrooms, although they have their uses. Thanks again for a wonderful post. Darn! now my tummy is grumbling too. FX's answer→ Joyce I think your son might like it if the blue cheese is not too strong (don't use Roquefort, kids would probably not like it very much). If in doubt just use less cheese and grate some extra on top of your plate. Have fun! That looks amazing! My mouth is watering and so simple, too. I was wondering...to lower the cholesterol (as much as I like pure cream) could I make it with half and half and yogurt? Or would that compromise the flavor? FX's answer→ Yogurt - I don't know. Unless you prepare it with the egg and cornstarch like explained in my Pig Leg of Lamb article, it will split for sure. 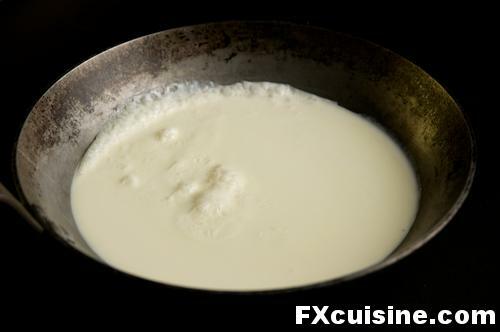 But half and half should work, as would low-fat cream or even maybe buttermilk. You need to try and see how it works - please report back on your finding so they may benefit others with similar concerns! Allow me to describe the conversation inside my head as I read this..
Now he's going to warm up some good cream..
Look at that beautiful cheese melting with the cream..
Now the chives coming down..
hmm.. I'm hungry.. I want to eat pasta with bleu cheese cream sauce.. yeah.. that sounds good. Did you say something about creating a "scratch n' sniff" site? ;) As always, beautiful pictures highlighting a simple and well executed dish..
FX's answer→ Thanks Jose for letting me into your mind as you read my little article! Perhaps the videos will also appeal to you - hang on for more! Simple and wonderful, i have just tried it..
FX's answer→ Great! What cheese did you use? Ahh, you've done it again, as usual! ;) Gorgeous recipe, gorgeous photos... you make it sound (err... look) so simple! FX's answer→ Tess, this really is as simple as it looks - no way to hide complication in such a simple recipe! Good luck in your cheese-hunting in Panama! I will try this with gorgonzola and perhaps walnuts rather than chives. Thank you for the new idea. I see that you are using your new knife and just by zooming in on the image I can see how scary sharp and masterfully made that bad boy is. I read through your article regarding japanese knives and how they are forged. The process is not too different from the way they make katanas (japanese sabres). Maybe add a half a meter more to your kitchen knife and you'll have yourself a battlefield worthy sword. FX's answer→ Angelo, yes this new knife is really impressive, it just cuts through vegetables like through air. Unbelievable. Now I need to hone my skills to match the blade! Yeah, looks really awesome. I'd like to have a plate of that, too! But please don't use the phrase "fit for a king" in every article. FX's answer→ Fit for a prince then? That looks so delicious! I sometimes make things as simple as this, but never really just tried this one. You wrote to Joyce that you do not think roquefort will work out, what kind of cheese should I use then? I probably can't get any beenleigh blue cheese. 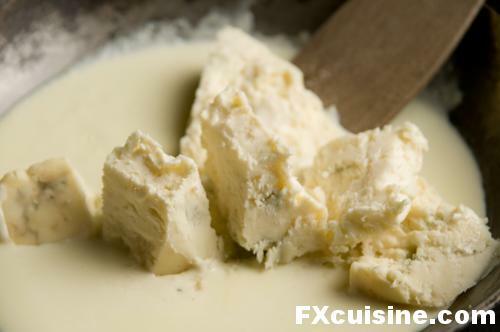 FX's answer→ Tosca you can definitely use Roquefort, provided you like blue cheese. Joyce wondered wether her son might eat that, which makes me think Roquefort would be too strong for him to like, whereas a milder blue cheese would be more palatable - to him. Delicious Recipe! I love blue cheese and I will definitely try this recipe. FX's answer→ Well I'm surprised and pleased to see the fine reception this little recipe received! Very interesting; thank You! I tryed the recipe with Azores cheese from the island of São Jorge (queijo de São Jorge)with very good results. It's not seasy to find Beenleigh in Algarve. FX's answer→ This sounds like an intriguing cheese! To a sucessfull melting it's necessary to cut São Jorge "cheese", that is not so soft, in small pieces. FX's answer→ Or perhaps grate it? I've been making that same recipe for years, with fettucine and gorgonzola. I like to top mine with gently toasted walnuts. It's divine! FX's answer→ Yes, walnuts or pears would go really well with this! FX's answer→ Let me know how you fare with this! This is my first time commenting here. I love this site. Blue cheese, cream, pasta and chives, how sublime. I only wish I had read this before sitting down to a rather unsatisfactory supper of Hawaiian take-out when most of the ingrediants required for this recipe sat in my larder. Ah well, there is always tomorrow. FX's answer→ Hawaiian take-out sounds very intriguing, did it include long-cooked pork? Or was it rather a pizza with pineapples (not so exciting I must admit!). Of all of the self-styled recipes that are in my head, half of them have to be 'Mac and Cheese' or some variant on the concept. My daughter's first experience with it was the 'powdered cheese and ancient dehydrated noodles in a box off of the supermarket shelf' variety. I decided to change that and make her the real thing. This recipe was one of them, with a minor alteration or two. Living in Wisconsin, fortunately, I have access to a local farm that produces blue cheese from unpasteurized milk (not for retail sale, of course) and fresh whole cream (amongst other dairy products). After I was sure her stomach could handle it I made her this recipe with said ingredients. I used cracked pepper on top instead of chives, though. Good color contrast, those chives...I will give them a shot. Try the sauce on mashed potatoes! Good stuff. Great job as always, FX. Sometimes the simplest of dishes with the right ingredients are the best dishes. FX's answer→ Well done Ouroboros, Wisconsin sounds like a good place for cheese lovers then! I love the green pop of the chives when I scroll down the article. That knife does look wicked sharp. Beautiful pictures, as always. 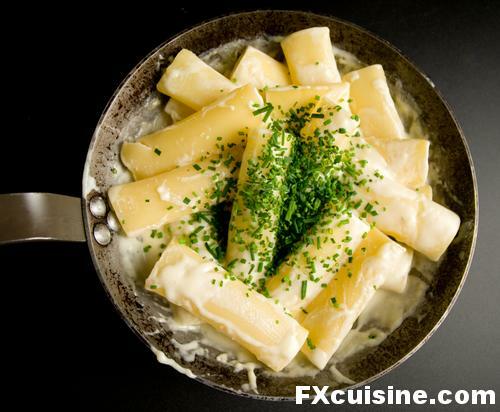 FX's answer→ Thanks, indeed the green brings this dish out of London fog! Great article! Glad to see another foray into the photo world. While your videos are great, your photographs are true art! FX's answer→ But Catherine I work every day to make my videos every bit as nice as the photos! what type of knife is it that causes such a stir? FX's answer→ Have a look at my article titled "Japanese Bladesmiths" from last month and ye shall see the light. I made this last night with a mild blue. It was nice, but my substitution of milk for your cream was a bit of a poor choice as the sauce was too thin. While it did thicken a bit while cooling, the dish overall isn't quite as lovely with a chill. I served it with a salad of cilantro, mache, radiccho and apples, which stood well against, but didn't overpower the pasta. Oh, and lovely Argentinia white whose name escapes me completly but reminded me of a Gerwertztraminer/Sauvignon Blanc blend. It was a charming meal, fit for a queen, and I think you for the inspiration. FX's answer→ Glad it worked in the end! This certainly is simple! I'm absolutely captivated by the blue cheese ... it looks so creamy and rich. FX's answer→ Hope you get to try this Allen! Strange! I almost made this dish last week (not having seen this article) but with Roquefort. I say almost because the friend I was cooking for wasn't particularly into the chive idea. My intention was to make a simple macaroni cheese, like this one, because I haven't had it for years. However, I got carried away (onion, mushrooms, added other leftover cheese, topped it with more cheese, put it in oven, etc!) and I regretted it deeply! Not that it wasn't nice/edible, but your dish is exactly what it should have (and could have) been! FX's answer→ Yes I think simpler is better, especially with a cheese with personality, no need for sidekicks to steal his show! Chalk up another "Oh my god that looks wonderful!" I've made countless dishes from your site, but never commented, all have been fantastic. Swiss Federal soup, Beef Bourguignon, gorgeous, the list goes on. I have a sister living near you I think, in Grandvaux, (I recommend le pointu for a wonderful meal). After after a recent visit there, my search for an authentic swiss papet landed me at your site. Thanks for all you are doing, your wonderful pictures and the new videos, am sure it is no small effort, but you have made and continue to make many foodies very happy. FX's answer→ Thanks for dropping by Burke, and glad the smell of the papet drew you in! FX's answer→ Marie, I must try this, the only crispy mushrooms I remember seeing are dried porcinis! Living in Kansas in the US I made this with Maytag Blue cheese from Iowa. It was fantastic. I threw in a handfull of peas at the end. FX's answer→ Great to hear this worked for you Wendell! You have the best food blog on the entire net. I must admit I spend a great deal of time going through your recipes. They are simple and so easy to follow. Many thanks and long may you continue to cook. FX's answer→ Thanks Rosa, strangely enough it is never picked by these lame "best food blogs" rankings in the Sunday papers. I guess newspaper journalists are lazy surfers! I love the high res pictures, and the recipe looks amazing..
Late to read this but will no less enjoyment of those utterly luscious photos. I am not (unfortunately) dining quite as well tonight as I am travelling in a less gastronomically blessed area of the US. I do a similar pasta with blue cheese (gorgonzola or a good artisanal domestic blue if I have some) melted into cream, usually with whole/halved walnuts added for flavour and texture. I will add chives as you do, or sometimes a generous handful of whole parsley leaves snipped from a bunch, or sometimes fresh sage leaves fried in butter til crisp. All you need is a good Barbaresco and you're in gastronomic heaven. FX's answer→ Yes, there are so many ways to tweak this dish with suitable ingredients you have on hand! Have you tried it with a sweet white wine? Do you mean to drink with the pasta or to use in cooking? I imagine you can go both ways. This brings to mind another thought on cheeses. Recently I was at a wine dinner where the chef presented three locally made raw-milk cheeses (cow, goat, sheep) as separate fondues, each made with a different wine and served within a hollowed out apple (each apple a different local variety). Stunning presentation of the apples (their stems/tops back on) lined up on a wooden board, and absolutely delicious. The apples also did a great job at keeping the fondues hot. I was going to play around with a blue cheese version and haven't yet decided what wine to use. FX's answer→ I meant for drinking, but in fact red wine is a better product usually anyway. The fondue-in-apples sounds very intriguing, where did you have this? FX's answer→ I really love those huge rigatoni, but some I bought in Naples, Italy were really impossible to cook, the pasta would be soft as boiled algeas on the outside before the inside could be cooked (too dry, too thick). But these I bought locally. Had to select carefully the pack as most had broken rigatoni inside. Rather fragile really! The simplicity in the dish is most elegant! I have not yet got used to blue cheese. Will any other hard/white cheese substitute the blue? Also speaking of knifes, I had bought a very good Santoku in Sweden sometime back, which was extremely sharp. went through vegetables like a hot knife through butter. However, the edge started to blunt very fast. Do let us know how the Japanese steel holds up after regular usage? 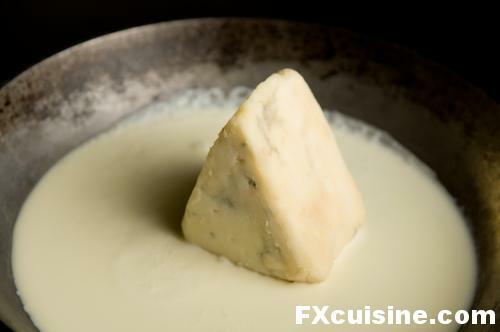 FX's answer→ Anand, unfortunately you really need a blue cheese to get anything like this was. 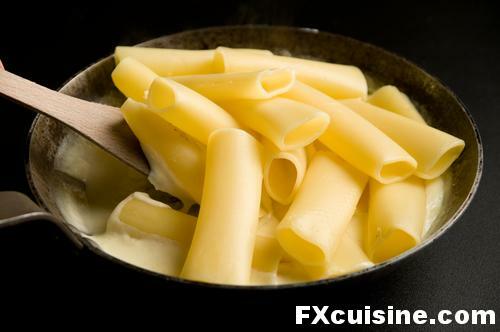 But there are lots of other sauces made with white cheeses, such as sauce Mornay (roux and Gruyère) or various North Italian fondute. For the knives you need to hold it very flat against a fine wet sharpening stone - there is no other way. Wonderful article, loved the photographs, could almost taste it. FX's answer→ Yes but no calories when eaten through a computer screen! Francois, your website is the bomb! This pasta recipe has me quivering...all your photo essays are superb. 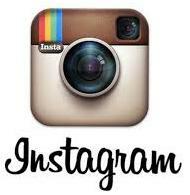 Keep sharing these very interesting pics/videos/recipes with all of us. FX's answer→ Thanks John, and please have a look at the 240 other articles already published! Please let me know what you need me to do!?? In return is there anyway to profile an authentic recipe for an Arrabiata? There used to be one at a local Toronto restaurant that was DIVINE! It was rich and thick and contained finely chopped black olives, anchovy and tomato! The restaurant has now closed but I STILL dream of it! P.S. Coming to Geneva next year!! 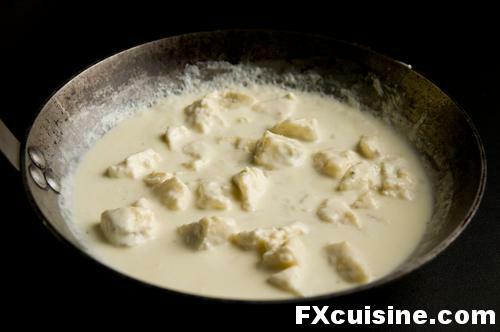 FX's answer→ Susan, for the pictures I would need detailed pictures of the preparation of Oreilles de Christ, the cook, the people who eat it, the finished product, like explained on http://fxcuisine.com/help-me.asp Hope you can manage to make them! For Arrabbiata, sure I can make an article, great idea in fact! But no chopped olives in the traditional sauce, although for olive-eaters that might work I suppose. Let me think about it! I actually tried this dish shortly after you made this post, and I luckily had some blue cheese and chives on hand. Then I totally forgot to come back afterwards. It was a wonderful meal and I thank you for sharing the idea. FX's answer→ Well done Luke, glad it worked for you! My husband is Robin Congdon the creator of Beenleigh Blue. Thought you might be interested to know we have been visited by two american cheesemakers: www.jasperhillfarm.com and www.uplandsfarm.com; both of whom produce blue cheese similar to ours. Beenleigh Blue is very good with "Maydie" a sweet fortified red wine from the gers region of France. FX's answer→ Thanks for your visit Sarie, I hope to come and visit your farm one day to see how you make your fine cheeses! All the best from Switzerland. The first 3-4 bites were to die for...... the last 3-4 are going to kill us. We wound up wasting half the pot. I really enjoyed the blue cheese taste, but the cream just became overbearing half way through the meal. I still have a packet of tube pasta left, I think I'll try replacing the cream with white wine, and adding some shallots, before putting everything through a blender, and finishing with a roux. Alright, I have a beginner's question. At the risk of sounding clueless, do you use 35% cream for this, or something a bit more mundane? Other than that, this looks like something I could actually pull off. Thanks for idea! Wow this is some good looking pasta, and so simple. I have to try this. Thanks for the recipe! FX's answer→ As simple as it gets! I have to say one thing: I am hungry now!!!! I don't know what I love most: your pictures or your cooking! Thank God for people loving food the way you do! I also originally did not have access to beenleigh, so I substituted with the only blue I had available at the time. Which was unfortunately a very strong Danish Blue cheese. The dish came out delicious but the smell was overpowering, by eye's were watering. I attempted again (to the worry of my room-mate) but was able to find a mild blue cheese, it came out very tasty. Love the site. I have made the grilled foie gras terrine(fabulous with pickled apricots and onion marmalade), bolognese and am currently making the pasta ncasciata for a party of 13. I am a longtime restauranteur(Connecticut)and budding local food writer who is hesitant to start yet another food blog/website. But I feel I must. Any advice? Love the sight of blue cheese turned so slowly and immersed with pasta and onion.....What about the Garlic ! Teasingly. Mate, where the hell are you? I am beginning to think you are have eaten a poison mushroom or something??! No word for 12 months is it?